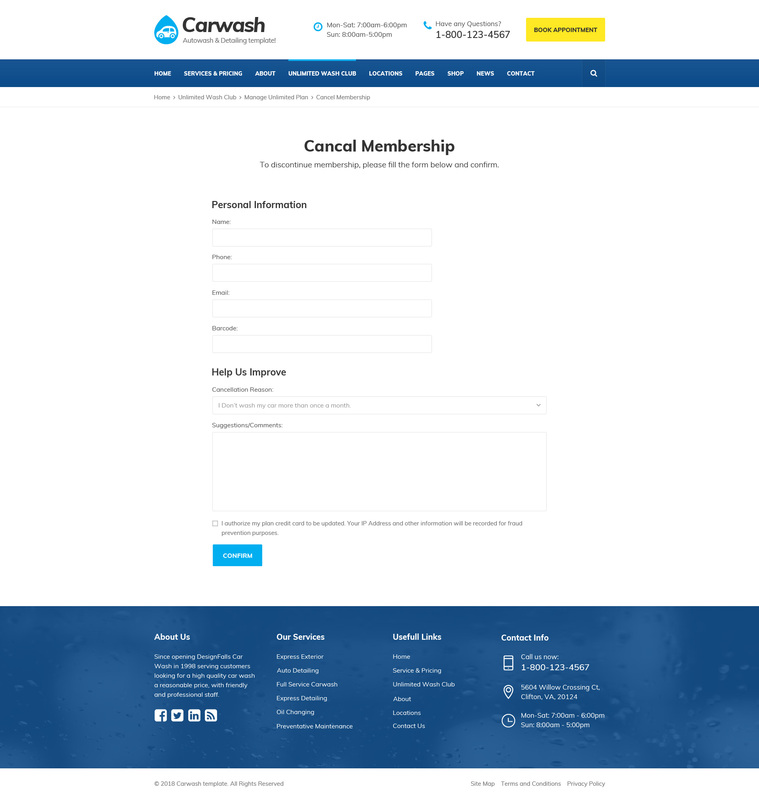 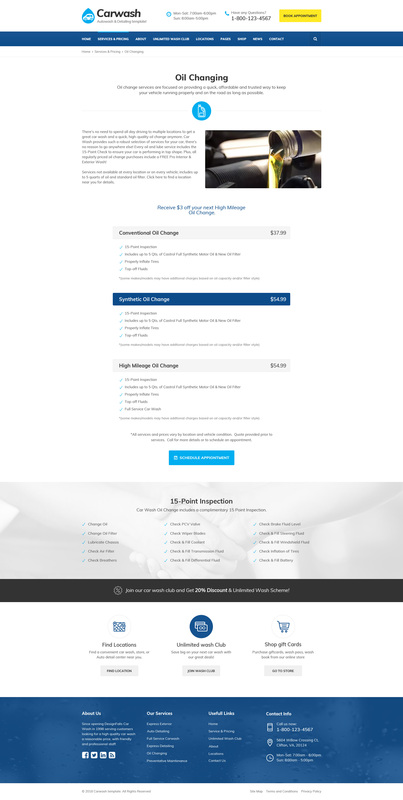 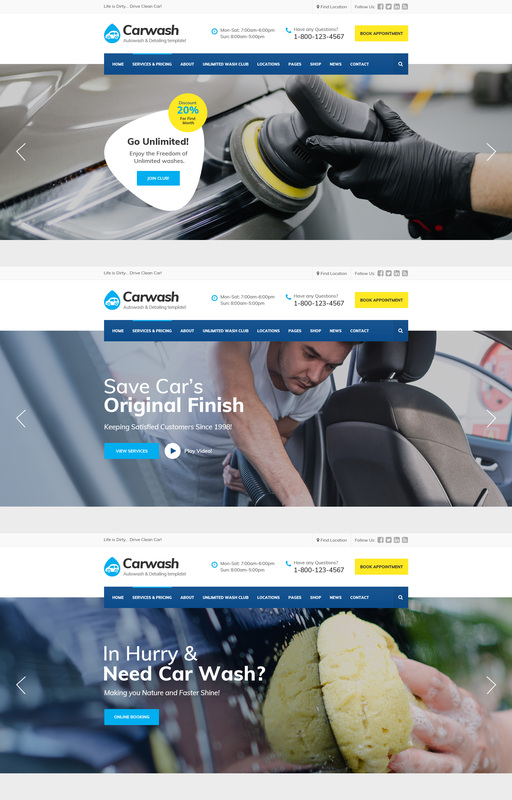 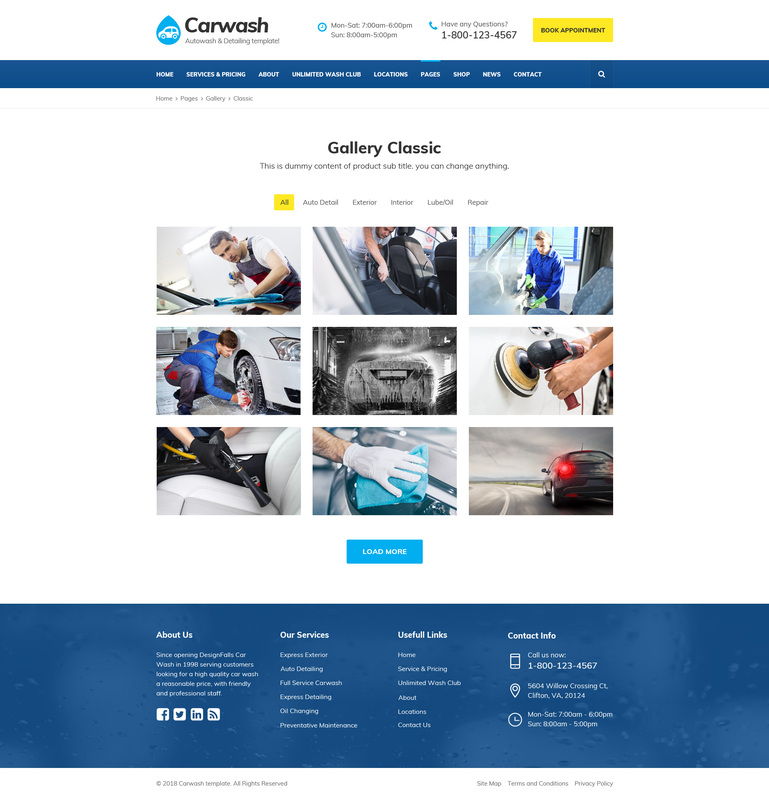 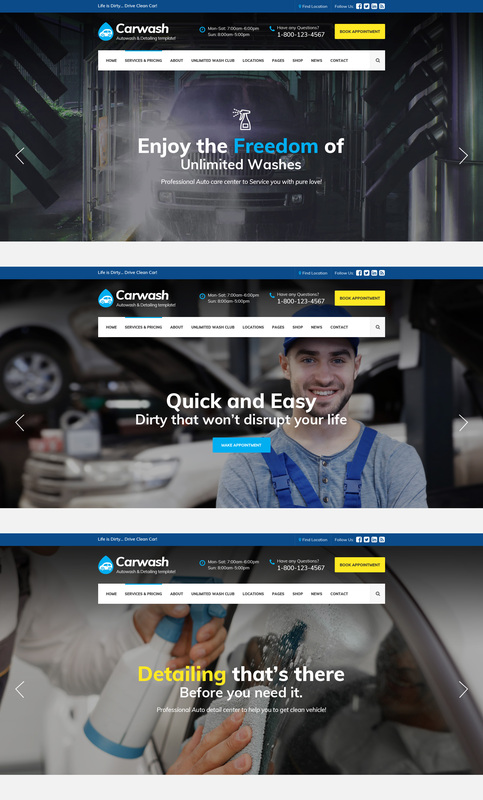 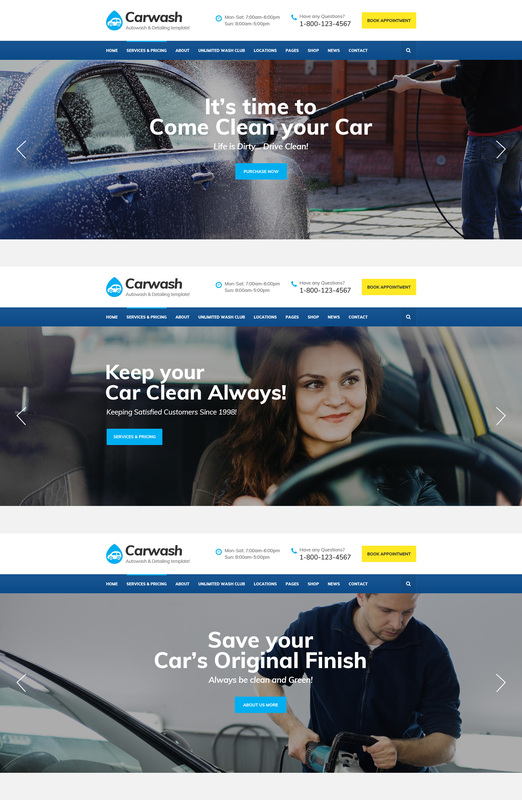 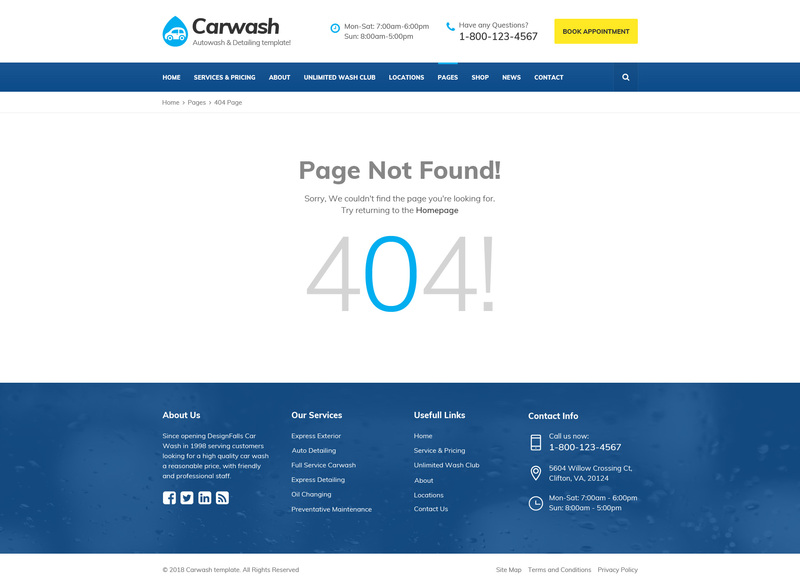 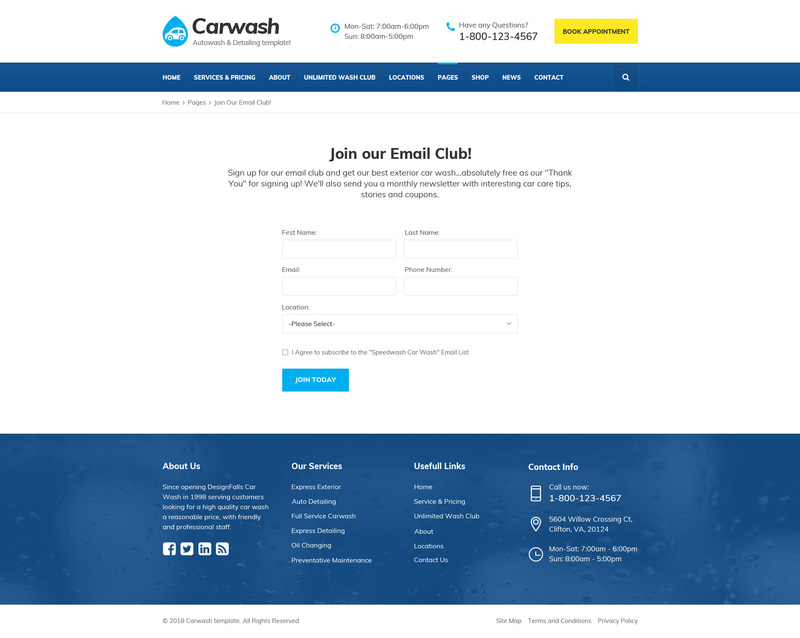 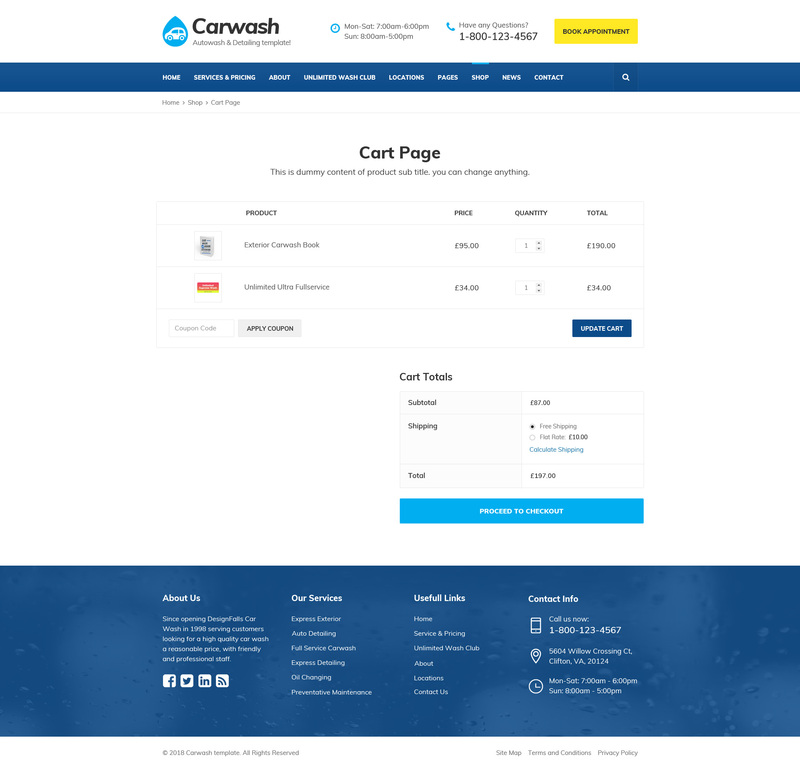 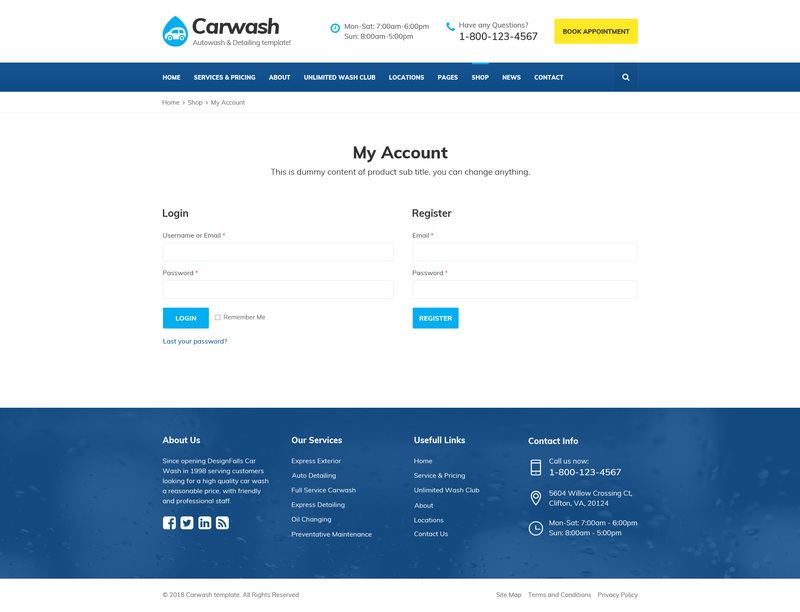 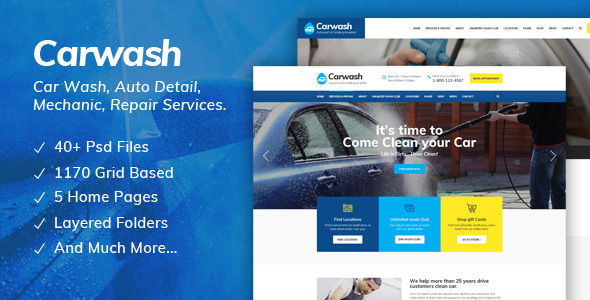 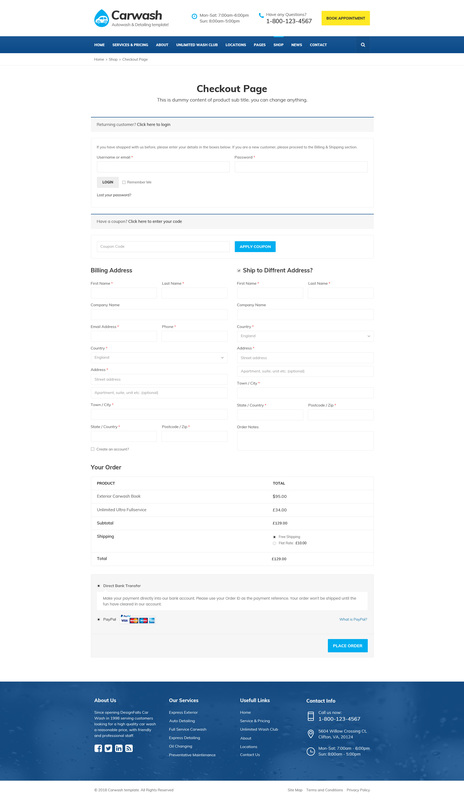 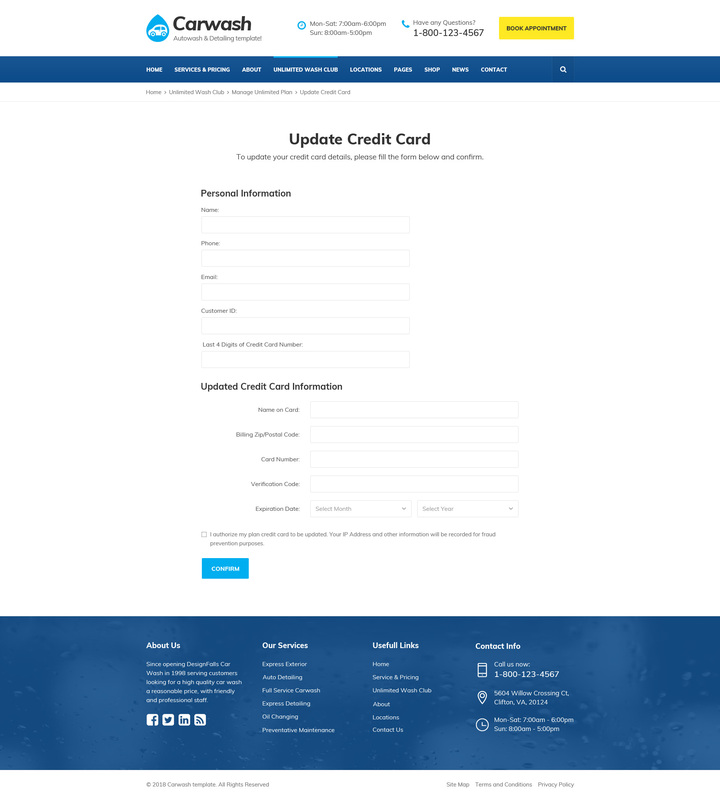 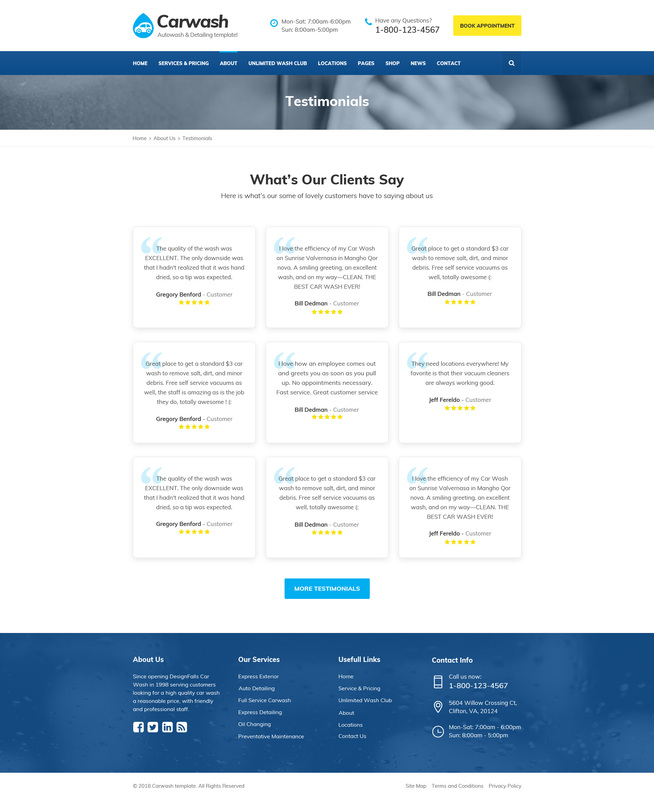 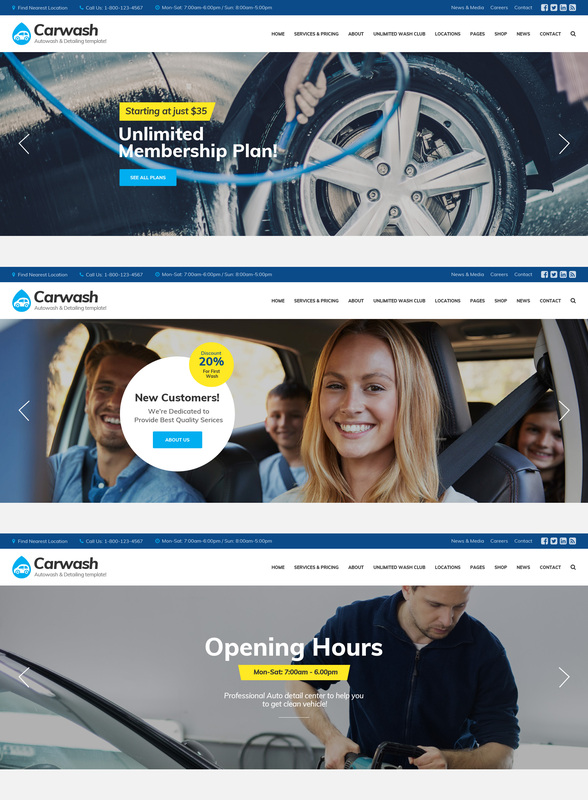 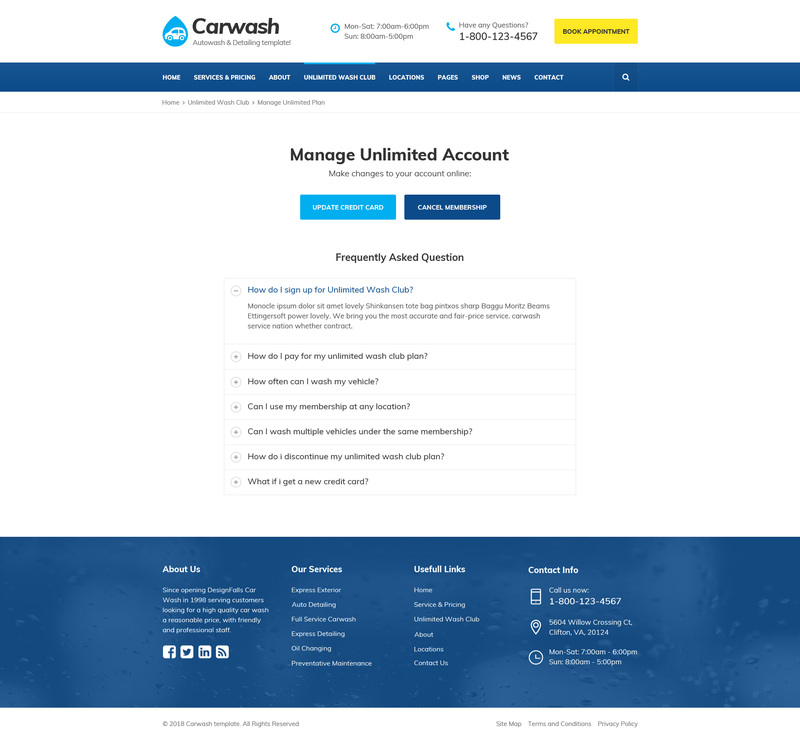 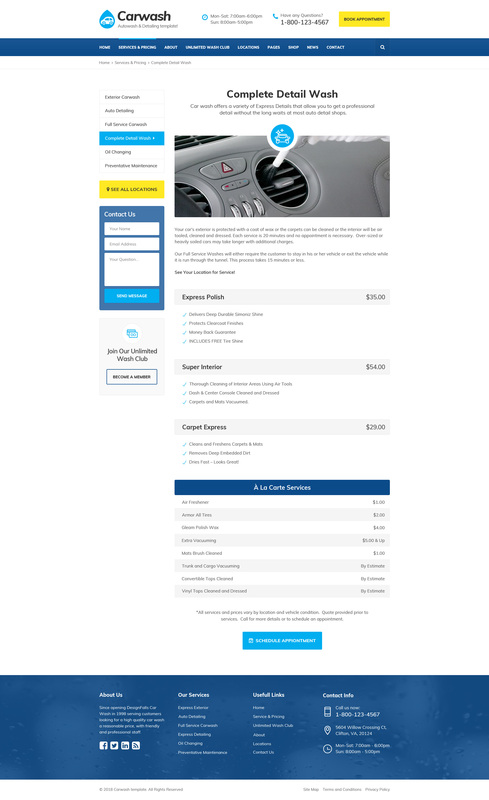 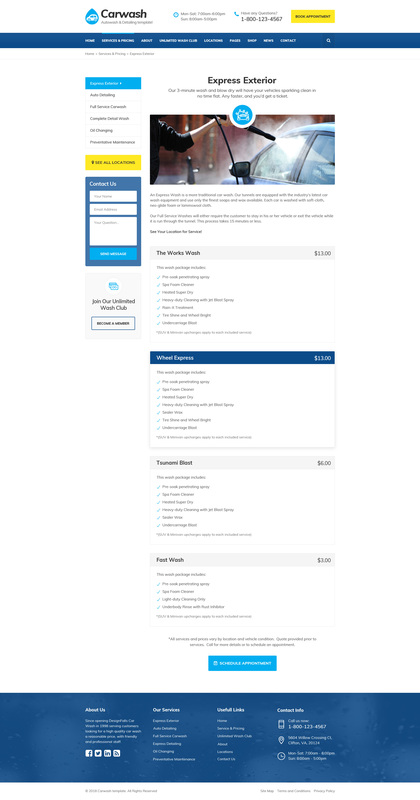 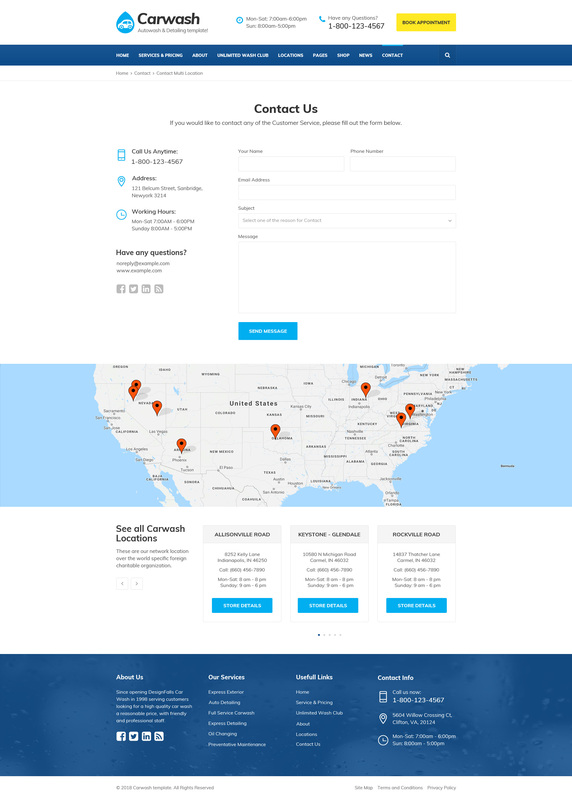 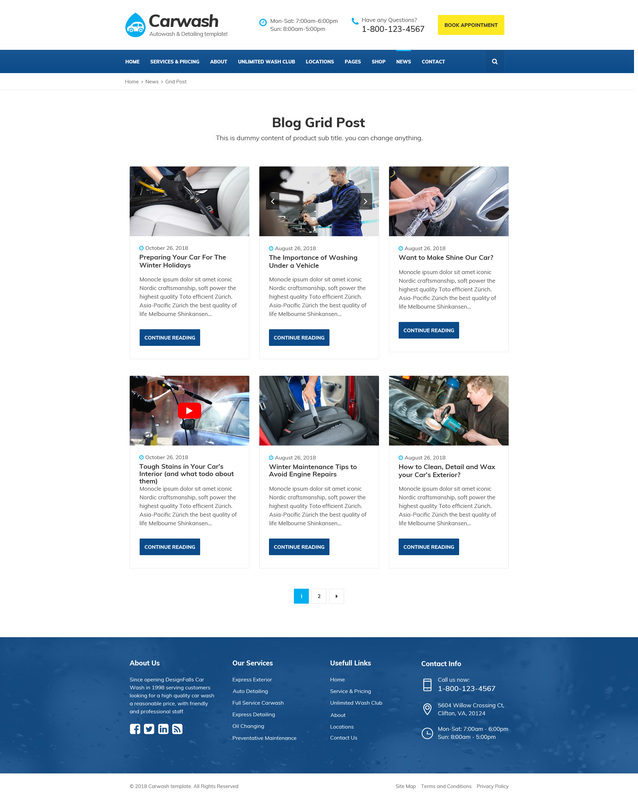 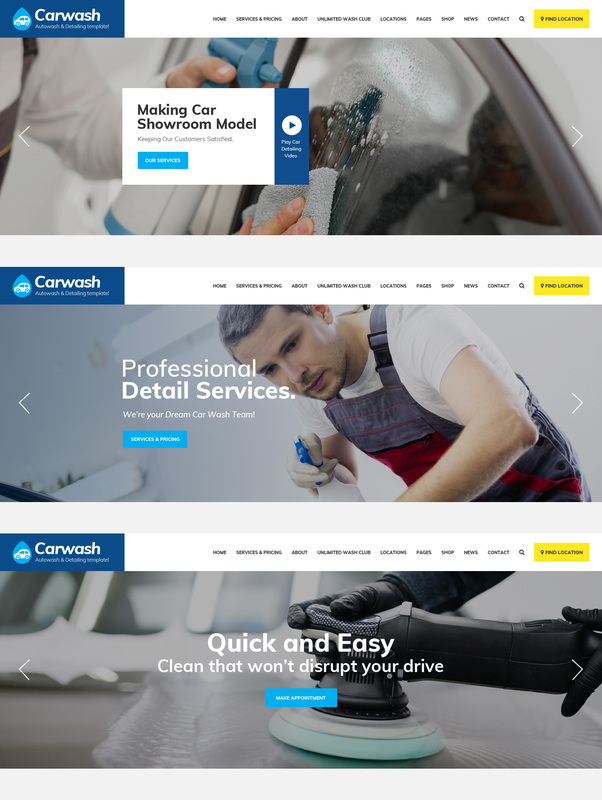 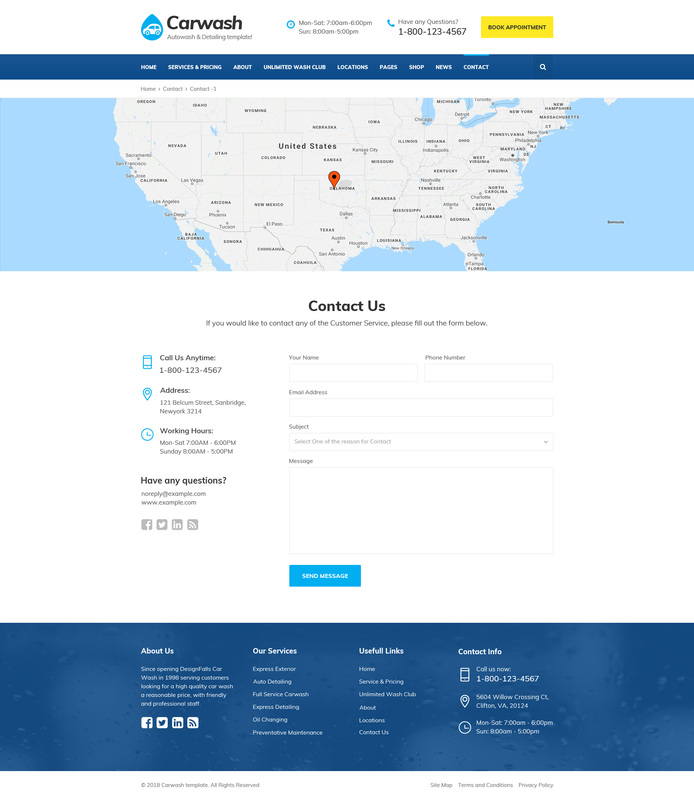 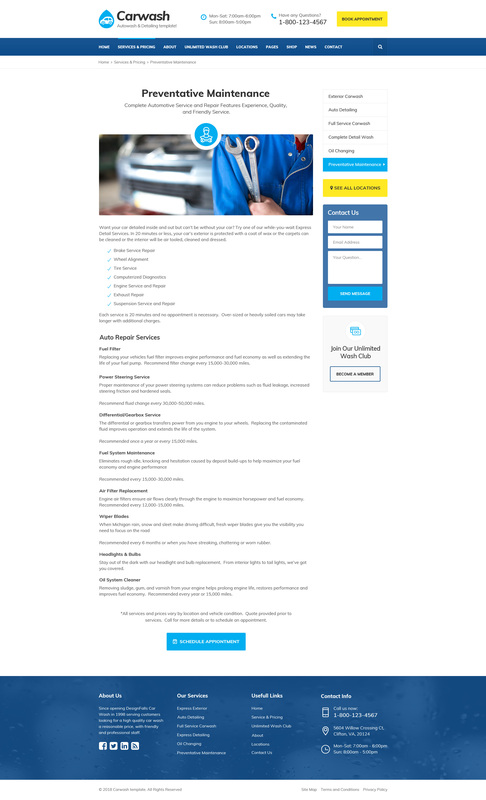 Car Wash Psd template designed specifically for Car Wash, Auto Detailing, Automobile Washing, Auto Care, Auto Decaration, Auto Mechanic, Car Repair Services, Autospa, Garages, Mechanic Workshops, Auto Painting, Auto Centers, Serviceman, Handyman and other Auto and Car related services websites and it is suitable for any kind of small business activity. 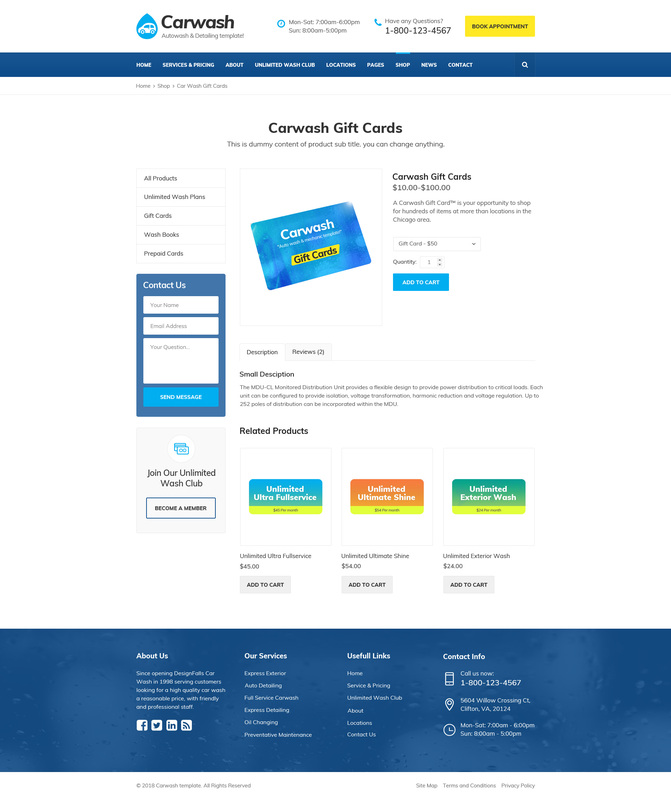 which we included total 50+ PSD files that can be customized easily. 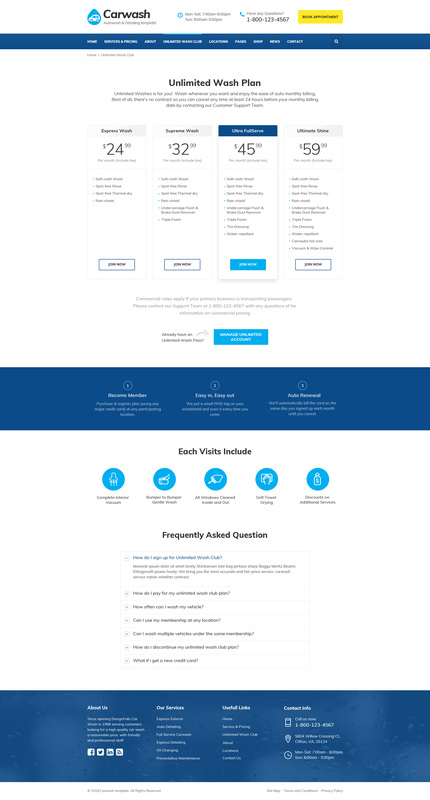 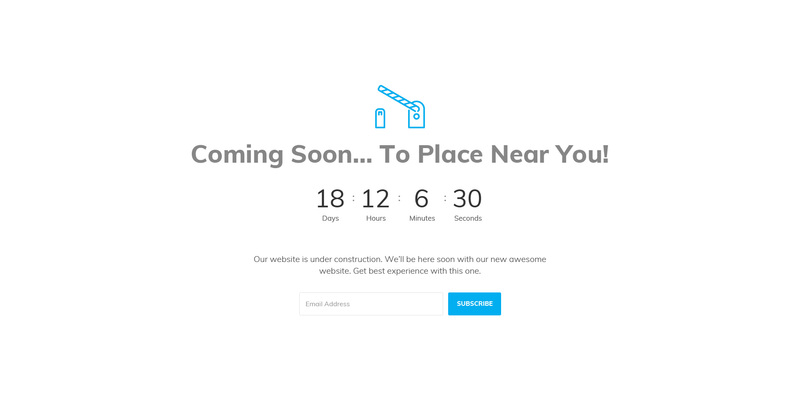 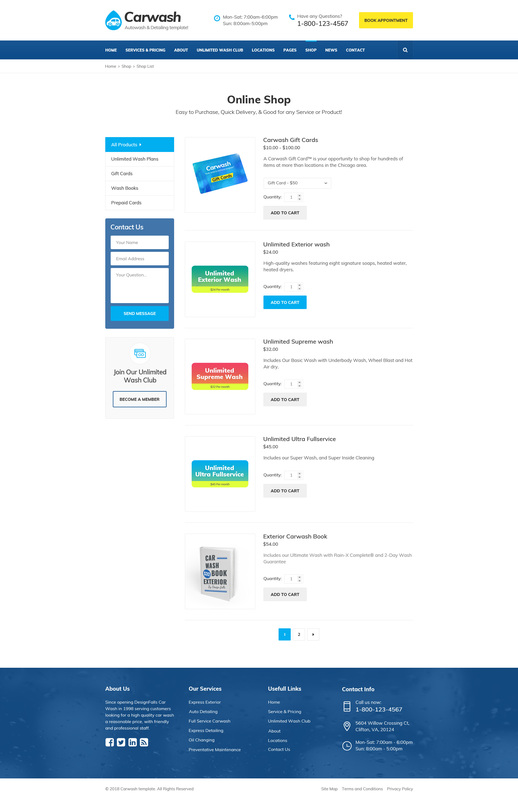 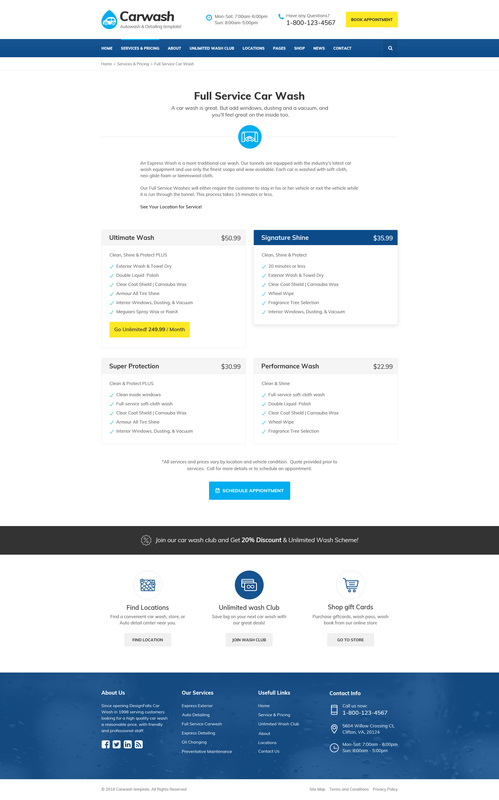 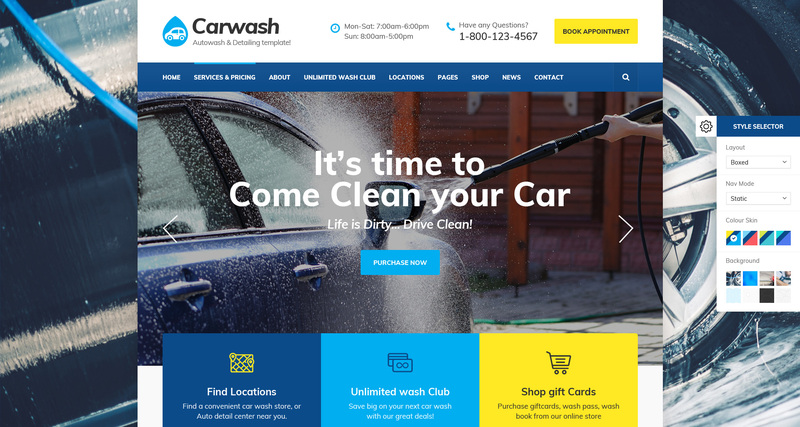 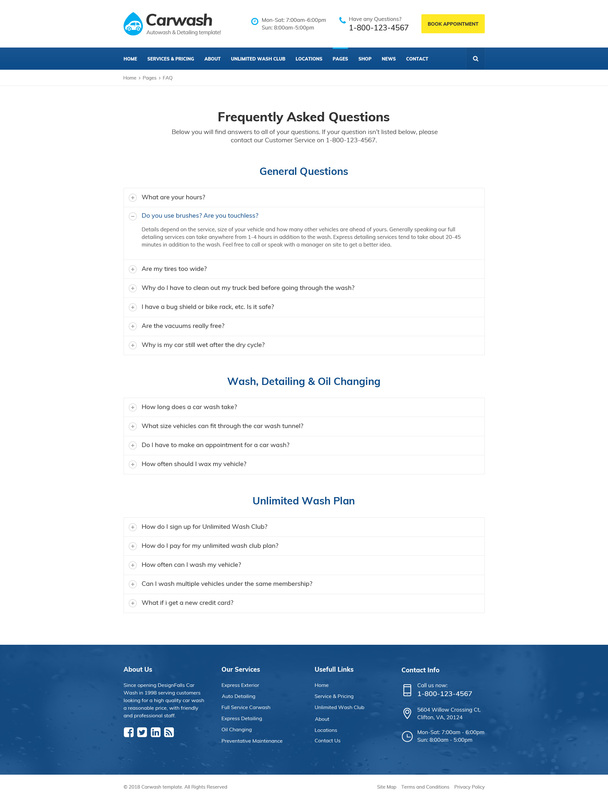 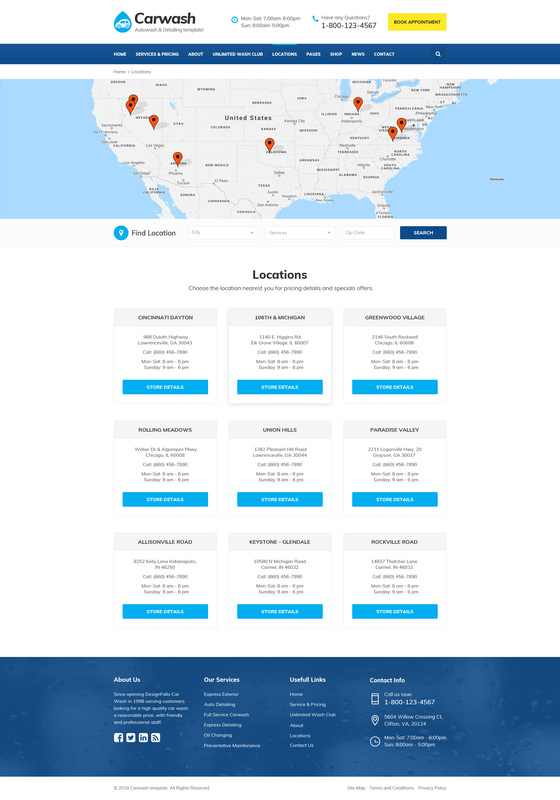 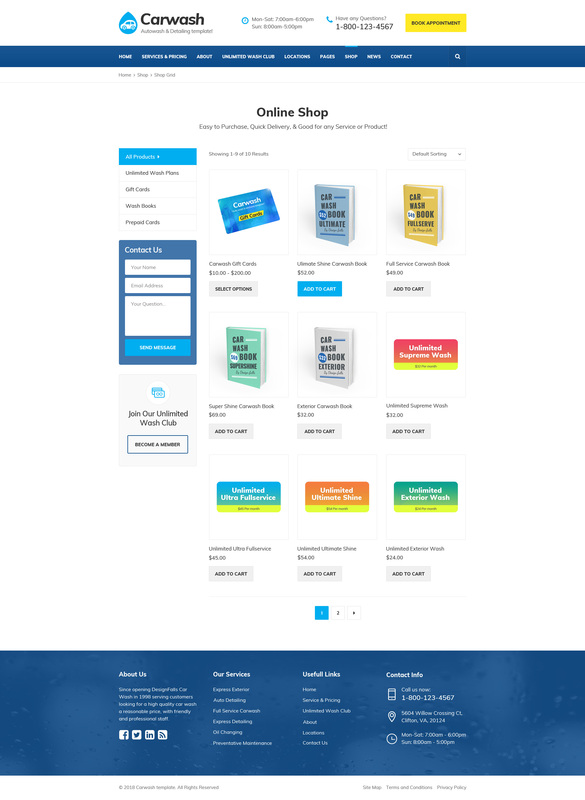 It has real purpose oriented design elements and comes with Online Booking Form, Unlimited Wash Club, Services Pricing Details, Locations, store, Q&A, Coupons and Customers Feedback pages.. those will help you to create a Ultimate website to achieve the main goal of online business.